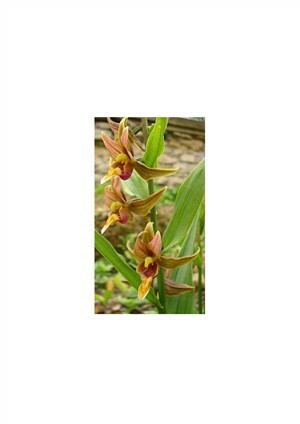 Epipactis gigantea Large flowered (3/4") garden orchid with attractive, beguiling spikes of helemeted flowers of yellow, green & maroon. Moist, humus rich soil in mid to nearly full shade. This will form good clumps of eye catching 'canes' with unmistakeable orchid flowers in profusion.